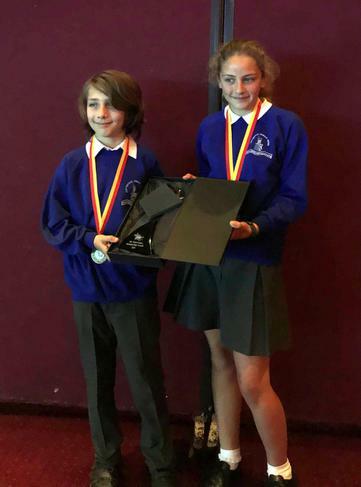 We were delighted to receive our Sports Mark Gold certificate and trophy of recognition for being part of the Thanet Passport Association for School Sport. Since its formation seven years ago, we have benefited from the regular opportunities to participate in a wide range of activities, clubs and tournaments. Over 4000 children a year, over a third of children attending primary school in Thanet have taken part in at least one of the 60+ Passport events and festivals. 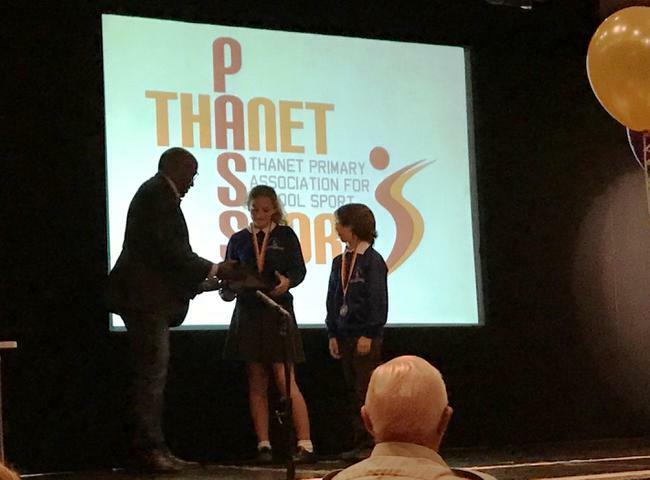 Last night’s award ceremony was a celebration of school sport in Thanet with inspirational John Regis- Olympic Athlete who gave the message that playing sport was all about have fun- whatever level you are a playing at.